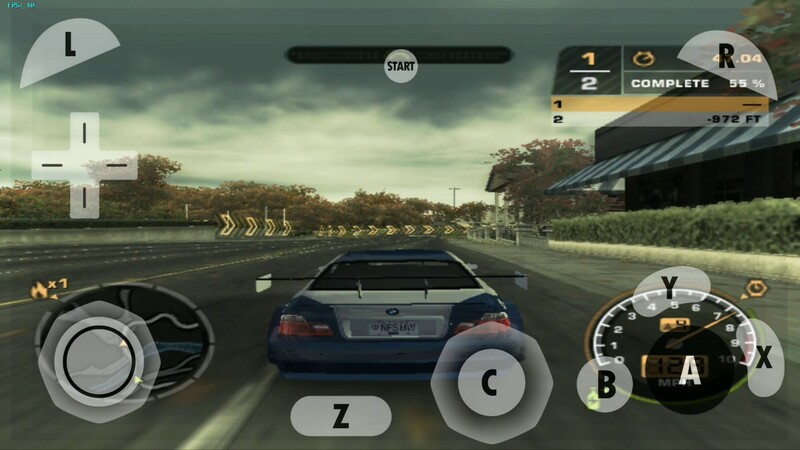 ​Dolphin is a powerful emulator that lets you play GameCube and Wii games on Android, Mac and Windows ​PC. It brings a slew of features that entails along with the ability to play games in HD quality with 1080p and more. Dolphin emulator brings support for save state, a dual core option and the ability to connect a game controller and configure it if need be. For the past few years, dolphin emulator has improved significantly and almost all the GameCube and Wii games are now fully compatible with it. There are a ton of dolphin emulator games out there, waiting to be discovered. Having used dophin emulator for quite some time now, I couldn’t help but play some of the best GameCube and Wii games on it. To be sincere, I got an almost perfect gameplay on my PC. On Android, some games where playable but had some minor audio glitches. Nevertheless, you can get good performance boost on dolphin emulator by modifying a few Settings. Also do note that the device you’re using matters too. So without further ado, here are the best dolphin emulator games you should play. The Legend of Zelda: The Wind Maker is one of the most brilliant, balanced and realistic dolphin emulator game that’s highly worth playing. The game introduces ‘Link’ as the main protagonist who sets out in search of his kidnapped sister Aryll, with the hope to save her from a powerful sorcerer named Ganon. Zelda’s graphic is unrivalled and its control and polished gameplay mechanics is in one word awesome. As you join Link in a scenic adventure, you’ll get to combat with unimaginable monsters and there are a lot of puzzles to solve. 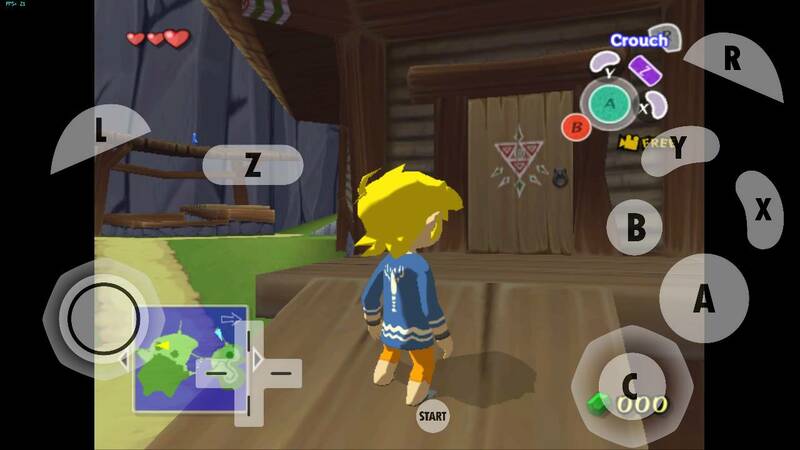 The Legend of Zelda: The Wind Maker is overall a must-play dolphin emulator game and I was able to run it at 25 frames per second. 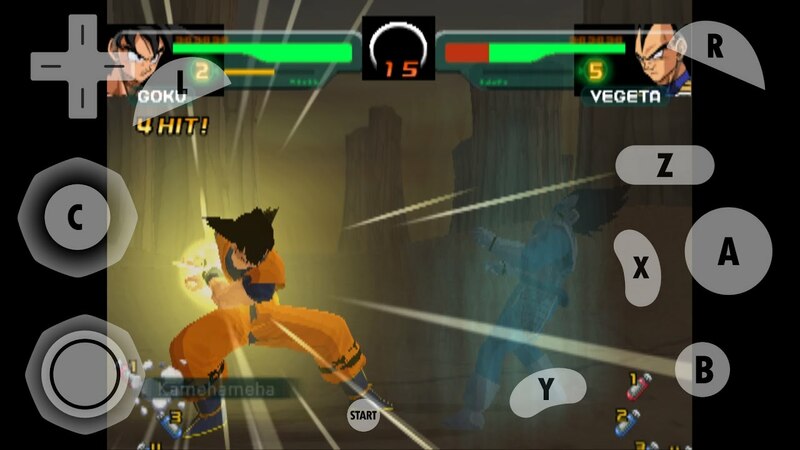 Dragon Ball Z: Budokai 2 is another dolphin emulator game that you can get the hang of but its missions isn’t easy at all. The game combines an action, fighting and 3D role-playing elements that delivers dynamic and intense acrobatics in a vast destructible environment. During gameplay, players are meant to choose their favourite warrior or hero and take on an enemy in a tournament and Vs. mode. Dolphin emulator certainly helped in improving DBZ’s graphics, thanks to its anti-aliasing and anisotropic filtering feature. If you are really a dragon ball fan, then it’s time come face-to-face with over 100 DBZ warrior including Buu, the most lethal villain. 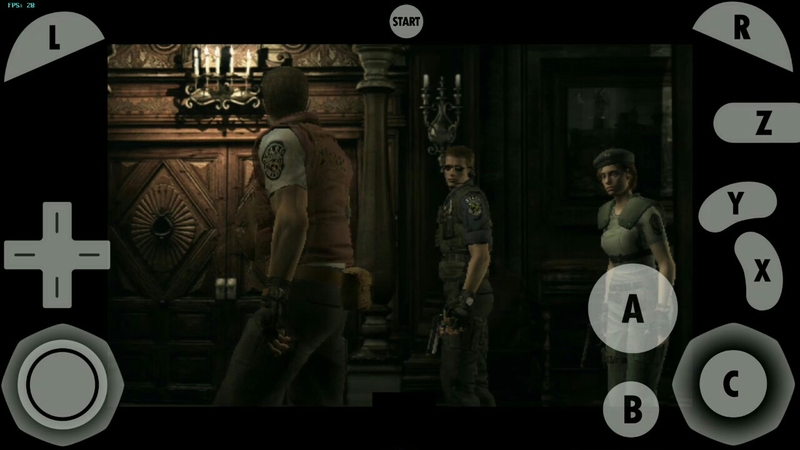 Resident Evil 4 is a survivor horror dolphin emulator game that runs perfectly well on PC but i encountered some minor graphical glitches while playing it on Android. First released on the GameCube and Wii console, Resident Evil 4 narrates the story of a US agent Leon S. Kennedy who’s on a top secret mission to investigate the disappearance of the president’s​ daughter and rescue her from the mysterious cult that had her forcefully adopted. Resident Evil 4 brings an enhanced aim and shoot feature and dolphin emulator plays a great role in making its controls super active. You can even connect your controller to experience smooth and vibrant gameplay. 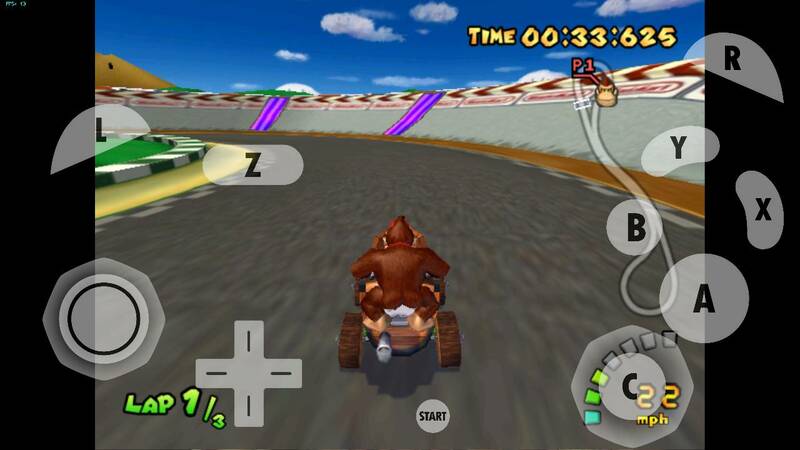 Mario Kart: Double Dash is one of the best kart racing dolphin emulator game that kicks off in a mushroom kingdom. Unlike the previous kart racing games I’ve played so far, ‘Double Dash’ is quite interesting considering the fact that you’re allowed to choose from a huge cast of favorite players and pair them up in an intense and mayhem multiplayer kart racing. Mario Kart: Double Dash brings vibrant graphics, the game introduces two players per kart and they each have their roles. The character in the front handles the driving duties while the character in the rear doles out damage to opponents. While playing Mario kart, I was able to get 50 fps on normal race and 30 fps on time trials. Digimon Rumble Arena 2 is one of the most popular dolphin emulator game that was able to embarrass Pokémon Colosseum in all ramifications. The game features all the Digimons characters from the four seasons of the anime. 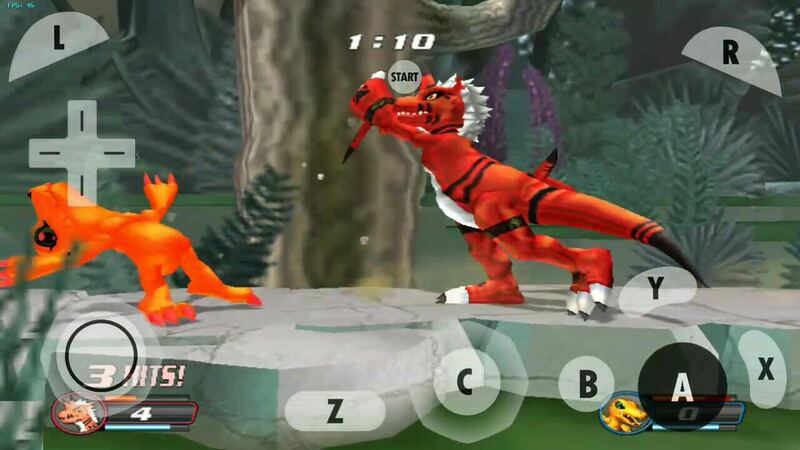 Digimon Rumble Arena 2 is mostly based on the Digivolving techniques used in destroying opponents. Players are allowed to choose fight against their favourite character to see who’ll emerge the winner. Most of these combats or brawls takes place in stunning locations ranging from fields of fire to icy glaciers. Running digimon rumble arena 2 on the dolphin emulator wasn’t much of a stress, the game is quite playable and I haven’t experienced any issues​ so far. Need for Speed – Most Wanted is an arcade racing dolphin emulator game that puts you behind the wheel of an exotic cinematics that involves live actors alongside authentic visuals. The game brings a variety of customizable vechicles and urban maps featuring traffic shortcuts and patrolling police. One of the part of Need for speed most wanted is the replay cutscene, cop chases and radio chatter. Your mission is to outrun both the racers and cops in other to increase your reputation and become the most notorious street racer alive. Need for Speed Most Wanted brings a little bit of action and it’s undoubtedly one of the best dolphin emulator game ever. Having unveiled a list of the best dolphin emulator games you should play, the next step will probably be to recommend the best free sites to download dolphin emulator games. Some of these sites features the top 100 Dolphin Emulator Games you can play along with an option to filter and sort them by genre or alphabets. So if you have got your device ready, then here are the best dolphin emulator games download sites you should use. LoveRoms: Easy navigation, advanced option to filter over 1,000 dolphin emulator games by genre, letters and region. Emuparadise: Intuitive user interface and offers more than 1,300 dolphin emulator games sorted alphabetically. FreeRoms: Offers over 1,200 dolphin emulator games from different genres including​ action, racing and adventure. PortalRoms: Brings a slew of the most popular dolphin emulator games and free direct download links. There are a ton of Dolphin Emulator Games that are worth giving a try and we have had the chance to list a few of them. So go ahead and download dolphin emulator, load up the above mentioned games and enjoy all your favourite GameCube and Wii games on Android, Mac and Windows PC.